How does Boseiju, Who Shelters All interact with Dovescape? It feels like Concordant Crossroads would be phenomenal early in this deck, either to swing or to mana dork some more. Not sure how frequently you may get Pathed, but Riftsweeper is both helpful and on theme. Boseiju, Who Shelters All to guarantee your game-enders. It's slow, coming in tapped, but you have two different ways to untap it, and if you're playing against a counterspell heavy deck, it may even be worth stalling for a turn to guarantee you don't blow out your board trying to Genesis Wave, or lose your win getting Triumph countered. Otherwise, this deck is pretty disgusting. I playtested it three times, and twice I was able to deck myself on turn 4. Scary. I'd maybe cut Call to Mind for Mystic Retrieval , Invoke the Firemind for Expansion / Explosion , and Doublecast for Increasing Vengeance . You might also want to try to fit Boseiju, Who Shelters All into the manabase, just so that your big X spells resolve a little more often. That's so funny, never seen someone put an Assault Suit on big bird. Good idea though. 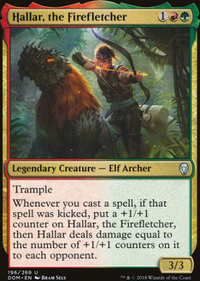 Well that's the reason Polymorph runs Khalni Garden because it's a free uncounterable creature. If you don't like Khalni Garden then consider Blinkmoth Nexus or Inkmoth Nexus which can serve as anlternate win condition. If you are going to run Boseiju, Who Shelters All then you should MB it, lands really don't belong on the SB. You could swap it out for Hanweir Battlements . I get why Hanweir Battlements is there but it's really not needed. 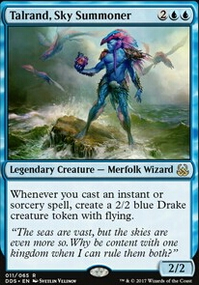 To answer your questions, I don't think you should run Manamorphose but perhaps 1x Cascade Bluffs might be good. How has your deck's mana base performed? Has the triple red been an issue? As a general rule you need around 50 mana sources in a deck in the form of lands, ramp, mana rocks or Llanowar Elves type dorks. Since I counted 38 total in your deck, I'm worried about mana screw same as Nesmer2. I have an artifact deck with 33 lands but that one runs 10+ low-costed mana rocks which are missing here. Granted there are decks with even lower lands but those are cEDH yolo lists that aim to T1/2/3 win with combos and also run stuff like Mana Crypt , Mana Vault etc. The PW deck Dovin is somewhat OK but very overcosted. Personally I don't like Sunbond , Cradle of Vitality and Disenchant . 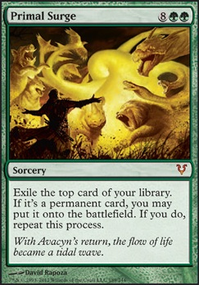 For the last one I prefer Return to Dust , but you can run stuff like Vindicate , Anguished Unmaking or Utter End (those can upgrade the Mortify too). 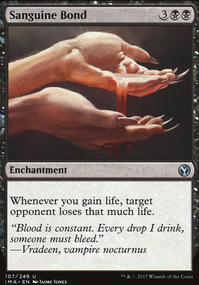 Since you are running quite a few creatures Whip of Erebos would be nice synergy with lifegain and it also offers some form of reccursion, albeit one-time use. Duskmantle Seer can be replaced with Twilight Prophet as with the latter they still lose life, but you gain life and only you get an extra card. 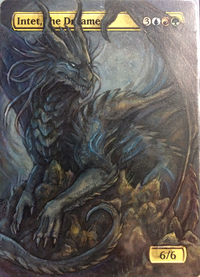 Lastly I'd recommend a few personal favourites Torment of Hailfire , Boseiju, Who Shelters All and Sensei's Divining Top . Hope these suggestings are useful to you, mate. Cheers! Flooremoji thanks for the comment! 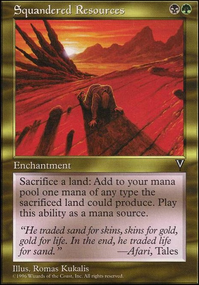 I really wish I could play Wasteland in Modern. 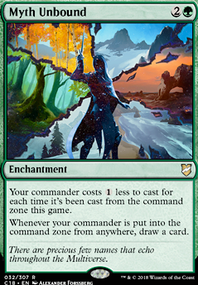 The reason I went with Memorial to War instead of Ghost Quarter was because Ghost Quarter lets the opponent search their deck for a basic land which I felt was counter intuitive to this deck destroying every land they put in play. I may sideboard in some Ghost Quarter or try playing some main board for a while and see how they go. Field of Ruin with both the mana cost and giving a basic land I don't think fits well. I liked Stuffy Doll because it has that great combo with Star of Extinction to blow decks up for 20 life + land destroy and creature/planeswalker board clear. I had already gone down to 3 Stuffy Doll but may go down to 2 to make room for something else. I'm gonna put some Inferno Titan in the sideboard the extra zeniths were just sorta a placeholder and I like the LoP but wanted 3. 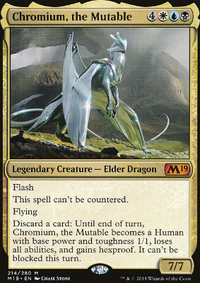 The Leyline of Punishment just allow the deck to burn through various turbo-fog decks and life-gain decks which can be huge. I think the deck needs some additional control card for the sideboard but I cant think of what. 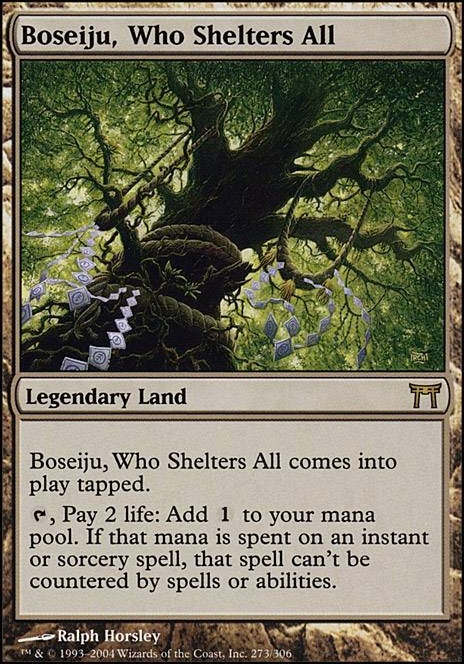 The Leyline of the Void , Boseiju, Who Shelters All , and Shattering Spree are phenomenal counter-play cards but I know the rest of the sideboard could use some improvement.